Hiring an estate planner is an important decision as you are seeking advice on how to protect your loved ones once you are gone. For this reason, it is critical to hire an attorney with good knowledge of estate planning and how to use the tools available to create the best plan for your particular needs. Be sure to ask questions of the lawyer before deciding whether or not you will hire him or her. Here are three key questions to ask when looking to hire an estate planner. How does the attorney’s estate planning process achieve your goals? 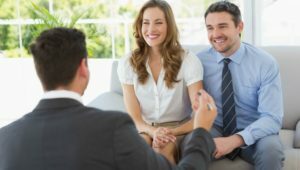 Just like every family’s needs are different, you should make sure the attorney you hire does not have a one-size-fits all approach when putting together an estate plan for clients. This is because what may work well in one situation may not in another. Be sure that the attorney you hire familiarizes him or herself with your specific situation and custom tailors a plan that will meet your goals and needs. What are the advantages and disadvantages of the various planning tools for your situation? A knowledgeable estate planning attorney will be able to explain the benefits and risks of the different estate planning tools – such as wills, trusts, pre or post nuptial agreements, and healthcare proxies, among others – available to you under the law. He or she should be able to explain this in terms that you can understand, and explain how these tools work in your specific situation. How does the attorney take into account other assets and will he or she make sure your plan works will all of them? This question is particularly important if you already have other assets in place such as life insurance, retirement plans, among others. A well crafted estate plan will incorporate other assets so that they help to offset income taxes, equalize inheritances, or leave a legacy. A whole-picture approach to your estate plan is the best way to make sure your family’s needs are met. Estate planning is a very personal aspect of one’s life and addresses sensitive issues. Making sure you choose the right experienced attorney can make all the difference when your family members needs your estate plan the most. We would be honored to discuss these questions and your needs with you. Give us a call today at (913) 871-2188.